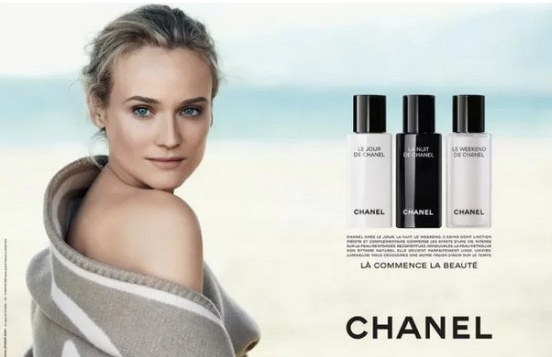 Ad Madness: Diane Kruger Is The New Face Of Chanel Skincare! When I hear about Chanel, I think immediately about the legendary designer, as portrayed in films in like Coco Before Chanel, & how A-listers today interpret the brand for modern-day red carpet appearances & showing off their street style. Also, I’ve been following a lot from the fashion house, including their latest Fall 2013 Haute Couture collection, & now, the latest news that actress Diane Kruger is the new face of Chanel’s skincare line, as well as the brand’s ambassador. For more from Ad Madness, check out previous posts including Nicole Kidman for Jimmy Choo, Jessica Chastain’s return to Yves Saint Laurent, Prada’s menswear fall / winter ad campaign, Rooney Mara for Calvin Klein’s Downtown, & Beyoncé’s commercial for H&M! Happy Styling! This entry was posted in Ad Madness, Style Darling Daily and tagged Ad Madness, Chanel, Diane Kruger, Karl Lagerfeld, La Commence La Beauté, skincare line. Bookmark the permalink. ← Runway Rundown: Giambattista Valli’s Fall 2013 Haute Couture Collection!